On February 22, 1989, these words stared out at readers of the New York Times in a full-page advertisement paid for by the Association of American Publishers, the American Booksellers’ Association and the American Library Association in support of Salman Rushdie, the Indian-born writer who had just gone into hiding after being sentenced to death by the Ayatollah Khomeini over his book, The Satanic Verses. And it is these words that give Rushdie’s latest book, Joseph Anton, its backbone. 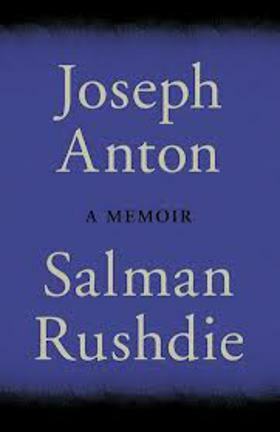 Joseph Anton is possibly Rushdie’s most important book, and is certainly his most readable. It is a memoir that covers the years he spent fighting for freedom of speech and – more importantly – the right to live, to not be murdered because of art. Unusually written in the third-person perspective, Joseph Anton – which takes its name from the alias he chose to avoid the assassins sent to find him – gives Rushdie the chance to tell his story of day-to-day life under the cloud of the fatwa. Surprisingly uplifting and funny, the book chronicles his fight for support from an under-informed public and governments who put their own agendas higher than a human life. 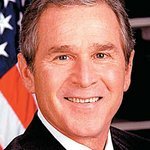 This is a warts-and-all account – you may not end up liking the writer or the man behind the words, but it is a story that should be heard if the world is to start healing tensions on a political and community scale. Depression, self-pitying, weakness and determination are dealt with in language that is nerve-raw but laced with the imagery of a master storyteller. The book follows Rushdie as he faces the fears imposed on him by a society where free speech was considered a right but didn’t seem to exist at all, and his fight against the view that people could be thrown to the lions because of their ideas. His belief in freedom from fear and violence led him down a path few would want to tread. Joseph Anton explores the friendship of Rushdie with Bono – the rock star’s unwavering support led to the pair collaborating on U2's The Ground Beneath Her Feet – as well as with Nigella Lawson. Along the way, Rushdie throws in snippets of encounters with stars such as Bill Clinton, Tony Blair, Blur, Meg Ryan, a very young Olivia Wilde and Warren Beatty, as well as his tempestuous marriage to Padma Lakshmi. Rushdie uses the book to explain the role of literature in society, his belief that it is the job of a novel to increase our perception of what humankind is – where we came from, where we are going and who we are as individuals. It is a provocative read that deserves a place in the bookshelves of those who want to make the world a better place.